How Much Lower Can The Metals Stocks Go? As the continued selloff in the metals stocks continued yesterday I chatted with David Erfle, Founder of The Junior Miner Junky, about what levels the sector could see in the near term. We also balance out gold’s relative strength against the other metals. Click here to visit David’s site and if you have any questions on on his newsletter feel free to email me at Fleck@kereport.com. HOW ABOUT SOME TERM LIMITS>>>>>>>>>>>>>>>>>>>>>>>>>>>>>. This chart says it all (and others do, too): The pullback since the 2016 highs has been a correction within a new and still very young bull market. It has not been an extension of the bear market that began after the 2011 top. Agreed Matthew, but it is tiresome to get the negative nancy investors to understand this, due to their recency bias and lack of emotional control. They see every pullback as a doom & gloom scenario where gold will crash below $1000 and continue on the bear from 2011, even though Gold clearly put in a major bottom in late 2015. After the bottom, Gold then rallied up through a number of key moving averages, surpassed multiple important prior peaks & troughs, and added on $200-$300 bucks for 2 1/2 years, and yet people think that was a dead cat bounce in a continuing bear market (WTF?). Bear market rallies turn around and plunge lower, they don’t take out all the key moving averages and multiple resistance points on upticks. That was the clue and bell ringing that the new bull market was in order, but most are still shaking in their boots, and missing another great opportunity to position before the next climb higher. Ex, it might be less tiresome if we remind ourselves how much more difficult it would be to make money if almost everyone understood markets equally. Good point Matthew. I guess it just tiresome try to keep explaining it to people caught in the throws of emotional responses to their pet economic theories, instead of just looking at the charts. You are correct though, that this is what makes a market, and why it is easy to get an edge with so many dim-witted analysts and pundits out there stuck in herd-think. Wishing the well-informed investors here at the KER prosperity and good trading. If someone is sleeping, let them sleep. Yes, no point in awakening them if they prefer to stay asleep. In most cases though, it is simply investors ignoring the data in front of them, or that they are swept up in herd thinking and can’t see the pattern playing out right before their eyes. Selling silver now is like buying it near the 2016 top – not a good idea. Hi Matthew. What is the significance of the dashed line below the midline fork support. It doesn’t look like it is half way so I am wondering if it has some sort of Fibonacci significance. That’s just a line that parallels the fork and is placed based on the 7/14 low. It does not have a lot of significance. I play with those lines to see if there’s something to a “mid-fork” low, or potential low, that I might have missed. Anytime. I’m sure a lot of what I do could use an explanation. 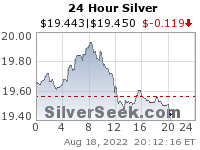 $14 silver is a good start………platinum is way under valued………gold is fair, not going any lower……..No World Power is SELLING GOLD……..ONLY JPMORGAN, with the Help of the FED/Fraud Banksters /Govt CFTC, COMEX are the Holder Downers………. Cory, could you get Chris Martenson on? Last I heard him he was convinced the markets including the PMs are rigged. That kinda changed his perspective a bit. 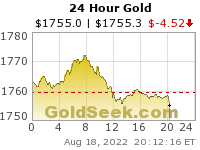 How low can the gold shares go? ipt to 11 cents is not unheard of. The only shares I know of going up are pot,amazon,apple. I hear rumors of tech shares but they’re U.S. listed so I dont follow. Cash is loosing its purchasing power, so hard assets is the way to go, except ya need cash when everything gets close to zero. and who has the cash to buy a hard asset? people are drowning in debt. Nutin to be concerned with. I’ll be chatting with Chris next week. Thanks for you question/comment, it will be brought up with Chris.